I’ve mentioned it before, but it probably bears repeating: I am not one to jump on trends out of the gate. I tend to see something from a distance, mull it over, hem and haw, and then make a decision about whether or not I’m going to engage or not. I thought, how life-changing could this really be? And is it doable? So far, I’ve tackled some of my clothes: my tops and bottoms. I need to work on a few more categories and then I’ll be finished with clothing. So far, my husband and I already have donated 3 full trash bags full of clothes. And it feels amazing!! I’m so excited to continue and pare down even more. But I’m afraid I won’t keep up the momentum, which leads me to my next confession. In addition to being the last person to jump on a band wagon, I also have a case of project ADD. I tend to fill my life with months-long projects stacked on top of each other. I’m currently doing (trying to) complete two blogging courses; I’m working on a blog brand overhaul; I’m gathering supplies to paint my kitchen cabinets, which I hope to start this week; it’s coming in quick to the busy holiday season and my girls’ birthdays; AND I’m now decluttering my house from top to bottom. No wonder I never sleep and feel tired all of the time. I’m crazy, for sure. I want you to keep me accountable. If I share my journey here with you, then I won’t be able to give up. 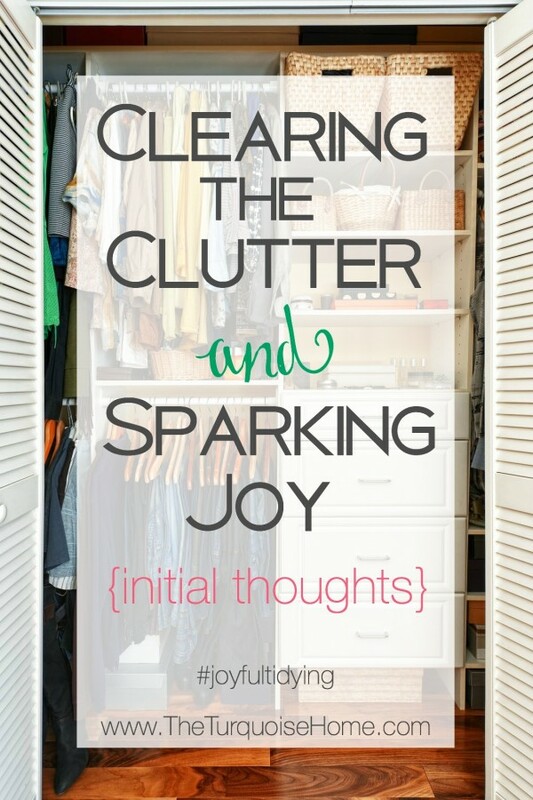 I want to help you on your tidying journey! Whether you’ve already read the book and completed your journey or if you’re running off to buy the book right now and want to start tomorrow, please feel free to come along with me! I’ll be sharing my steps along the way interwoven in my regular blog posts and social media posts and want to see your journey too! The sparking joy element really is key. I’ve decluttered a thousand times before, but the method in which Marie Kondo instructs us to choose which items to keep is SO crucial to this process. It really works. In the past, I would walk into my closet and look around to see what I could get rid of and pull out maybe 2-3 pieces. 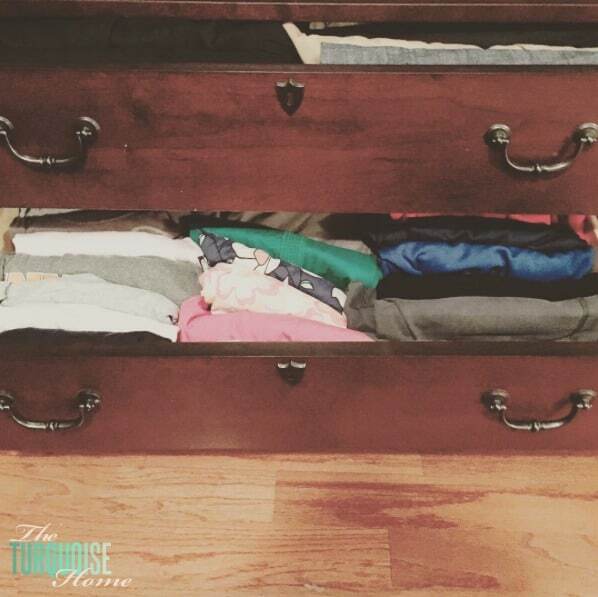 With her method I just donated 1/3 of my wardrobe and I feel so much lighter and don’t miss a single thing. I’m so excited to not feel like the stuff in my house is going to reach up and choke me. Sometimes the sheer volume of things in my home overwhelms me. And I feel powerless to tame it. I’m so excited that Marie is giving me permission to get rid of the things in my home that don’t spark joy. Happiness with my stuff is not the be all end all. While Marie Kondo strives to find peace and harmony with her surroundings through tidying, I too want to create a warm and peaceful home environment. But, that is not my ultimate goal in life. My ultimate purpose is more about serving my Savior and others around me. Having a home that is in order helps free up time that would otherwise be spent trying to manage all of my stuff and allows me to spend it doing things that truly matter. I believe that this will be the reason her method and exercises will be life-changing. OK, so if you haven’t read the book yet, jump on over to Amazon or your favorite book store and grab a copy. Get started reading it and I’ll check back in a couple of weeks with my progress. This is going to be very truth-telling on my part. You’ll see some major behind-the-scenes of the unorganized messes of my home. And it’s going to be fun! I can’t wait to see how my home and life will be changed on the other side. Have you done this already? If so, give us your best tips, tricks, keys of tidying wisdom in the comments or on social media. I’ll be using the hashtag: #joyfultidying on anything that I post that relates to this topic. And if you’re sharing your progress or thoughts on social media, be sure to use the hashtag, too! And tag me in it so I’ll be sure to see it. 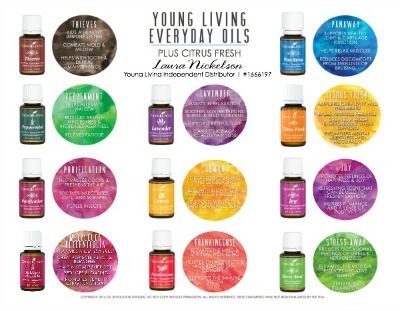 I can’t wait to share how life-changing this truly will be! Flylady (have you heard of her?) has been teaching these same concepts for years. Decluttering, keeping only those things that bring you joy, etc. She goes a few steps further and tells us HOW to keep our homes clutter free. And you’re definitely right: being clutter-free is very freeing. Generally speaking, people have way too much stuff in their homes. Take a look back at the homes of the WW II era. One, possibly two sets of dishes (everyday + the “good” dishes), clothing that had to be laundered weekly or else you ran out of underwear. Nowadays we just have too much. Yes! I’ve used the Flylady techniques before, mostly for cleaning on a schedule. But I remember her talking about decluttering too. I always think of her when I clean my sink. 🙂 We do seriously have too much in our homes. I’m hit with that every time I lose something. I think, there’s no reason why I should be able to lose something in this house, but it’s because there’s stuff everywhere. I like the KonMarie way of grouping all like things together. I think I will enjoy that when I finish going through all of my things. Good luck on your journey, Laura! I purchased the book a while back, and have decluttered my clothes, books and dvds. It feels great, and I can’t even tell you what I donated, so I definitely won’t be missing them! You’ll form your own opinion, but I lost interest in reading the book when I read that she stores books in a dresser drawer! !, and removes every item from her handbag every evening and puts them away . (she must not have kids …. or a diaper bag!) …. I started picturing her living in this dark, empty box and lost interest in the book. Although I’ll definitely continue decluttering/purging …. the craft closet will definitely be the hardest! Looking forward to your success!! I’m so happy to see that someone feels the way I don bout this book!! Emptying one’s purse out every night has to be the biggest time waster I’ve ever heard of !!! Thanks for sharing your thoughts, Cynthia! I definitely don’t agree with all of her ideas, but so far, I think there are enough take aways that it’s worth it. 🙂 The most powerful one being that you need to pile everything of the same type together. Seeing it all together is very powerful. I know I have so many things in various corners of my home and I look forward to getting rid of more and compiling like things in one space. I also think some of her ideas are lost on Westerners and would make more sense in her home culture. Having lived in Asia for 3 years of my life, I tend to see how some of it would make sense to someone in Japan, while someone in North America would think it’s a little (or a lot) extreme. Marketing internetowy to reklama w Internecie mająca na celu skłonić potencjalnego odbiorcę reklamy do zakupu produktu lub usługi. I decided to give this a try though like most books that propose extremes, I’ll will have to be weigh it in the balance. Having lived in Asia and visited in a typical Japanese home that had very limited space, I am curious. The middle class family’s life style and home is so differnet from the typical one in the US. There is a grace and beauty in the home items especially materials, pottery and china. I read the book and frankly it gave me the creeps! I like the idea of throwing out/donating stuff that doesn’t spark joy. But the way she talks to inanimate objects all the time as well as the author being an idol worshiper made me decide the book was not for me! threw away her book as there are many very helpful books on clearing clutter which aren’t so weird and juvenile. Good Morning! I have been decluttering too. I haven’t read the book, but have been following along with several other bloggers and using their example. I have done my clothes and my accessories. I can actually move the hangers in my closet now! I do think I have to be in the right mood too. I can get too sentimental :). My next thing is dishes…this will be hard, I think. I have dishes that were my grandmothers, so I will have to think long and hard about these. I can’t wait to follow along with you!